Thursday, Thursday. So good to see. Thursday afternoons were all we hoped they would be! Yup, another season of college essay tutoring was a resounding success. About 25 volunteers helped over 100 students on every Thursday afternoon from September 13 until Thanksgiving. 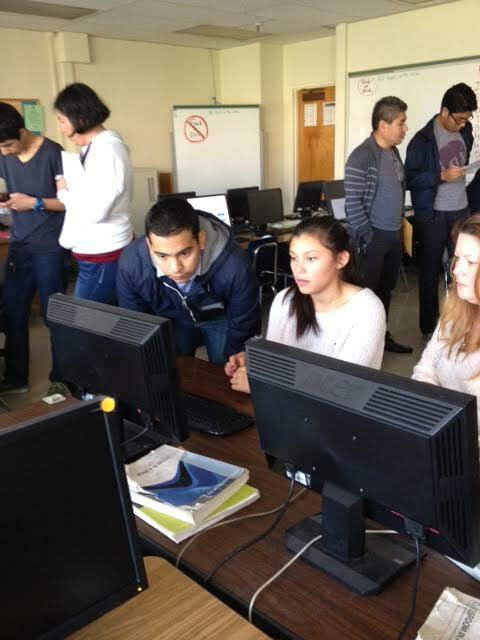 During crunch week, leading up to the University of California admissions deadline on November 30, throngs of students and volunteers huddled all day, every day, in John Marshall High School’s College Center. This past year, 2018, was far and away CollegePath LA’s most successful essay-writing program, based on student participation. Marshall’s English teachers encouraged their students to attend our workshops and followed up on the essays. The English teachers have become an important partner in our work. There’s an old African proverb that sagely observes: It takes a village! 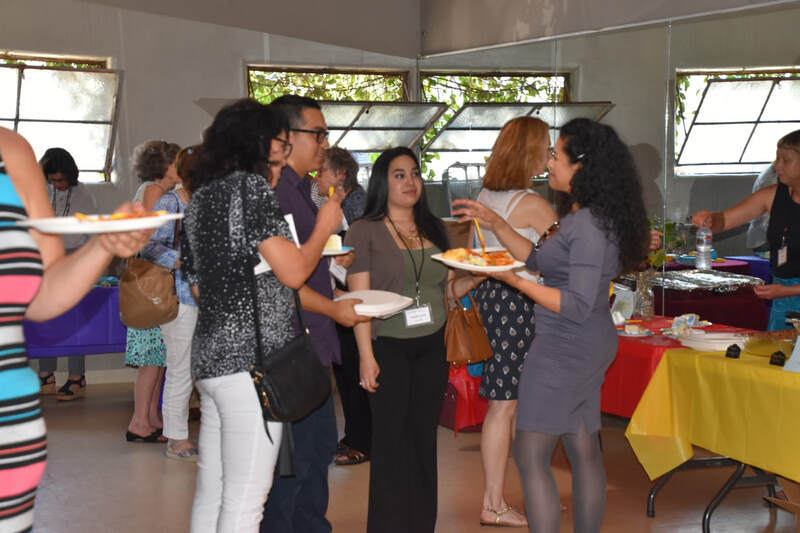 On August 12, 2018, CollegePath LA hosted a reunion for its alumni, volunteers and current Marshall High School students. 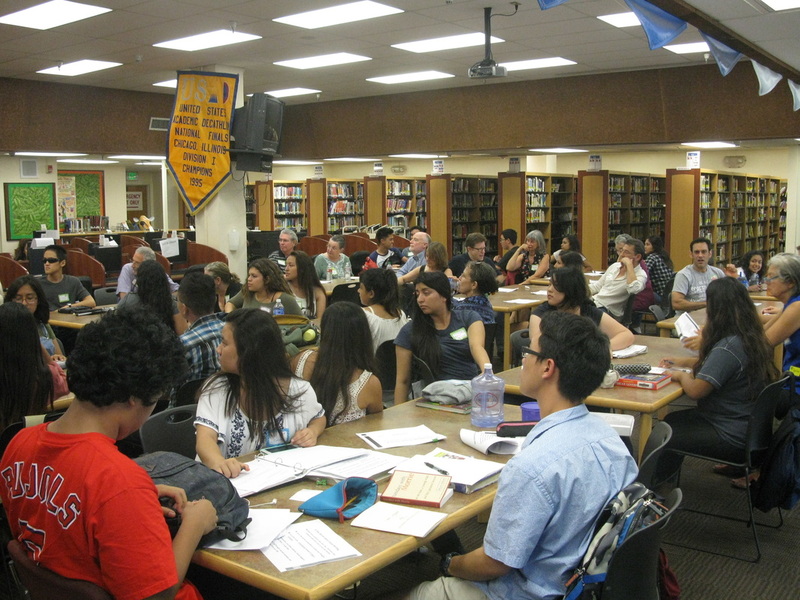 About 20 attendees gathered to review the year’s accomplishments and to plan for the coming school year. As has become a tradition, CollegePath LA alumni who are now college students, or graduates, shared their stories about college life. Many spoke about the challenges of being away from family, and of living on campuses where there aren’t many students of color. The college students and graduates offered advice on how to be successful in college, especially during the first year. They spoke about the importance of getting to know professors, attending office hours and taking advantage of tutoring and other resources. Others stressed the importance of risk taking, meeting new people and exploring classes in unfamiliar subject areas. Their message to incoming freshmen: Don’t be shy. Embrace as many experiences as you can. Finally, the students discussed ways to continue their participation in CollegePath LA. Most alumni wanted to share their experiences with younger students. Some offered to become mentors; others to speak at assemblies of 9th graders. Everyone agreed that CollegePath LA should create a series of short videos of students talking about their stories and giving advice. One student suggested that CollegePath LA coordinate with Campus News, a weekly program, to broadcast “brief and spectacular” videos. CollegePath LA plans to make this happen! ​ On June 6, 2018, at John Marshall High School’s career fair, about 50 professionals organized by CollegePath LA interacted with more than 1,000 students. The speakers represented the fields of medicine, law, social work, engineering, business, film, television and firefighting. They shared samples of their work, including scripts, paintings, drawings and poster boards with architectural designs. The court reporter brought her machine and several speakers showed presentations on laptop computers. "It was uplifting to see so many community members, alumni and other friends of Marshall High participating in our career day,” said Principal Gary Garcia. “I spoke with many students during the fair who were genuinely excited to learn about how they can spend their adult lives. Many teachers remarked about the diversity of careers that were represented. Thank you to all the volunteers and to CollegePath LA for organizing the event," he said. 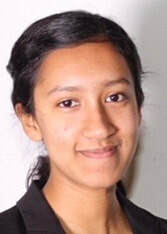 ​“I think it is very important to have various disciplines within the engineering family represented at a high school career fair because the opportunities are unlimited but many of the students don't have much visibility into the type of work that engineers perform. On Saturday, June 2, 2018, veteran Los Angeles rock musicians, The Hickmen, will perform a special concert to benefit CollegePath LA. Two of the rockers are teachers at John Marshall High School and a third taught there for many years. --- Mike Finn has been teaching at Marshall since 1994. He works with special education students that need extra academic support. He also teaches a songwriting class. --- Jack Fris taught at Marshall for 17 years, starting in the late 1990s. He taught English classes, including expository composition and modern literature, as well as theater. The Hickmen say their drummer is still making a living as a musician, but the others don’t need to make money from their music. “No one is paying the mortgage with gig money, so of late our gigs have been benefits,” says Mike Finn. Click on FLYER button below for complete information. 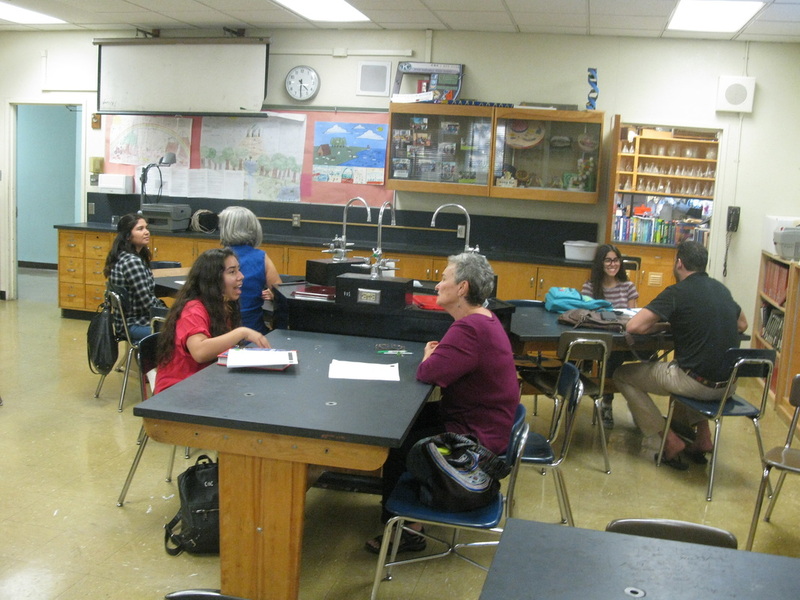 ​On Friday evening, January 5, 2018, friends of CollegePath LA convened to discuss how it could expand its reach at John Marshall High School. Former Marshall teachers, community volunteers, Marshall graduates, and current students contributed ideas and suggestions. 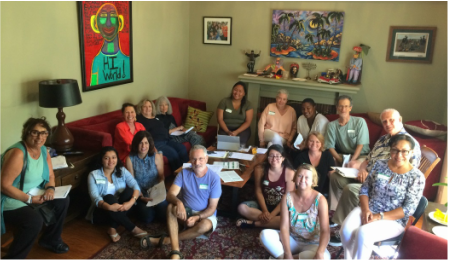 Friends of CollegePath LA first acknowledged that the organization is currently meeting its most immediate goals. 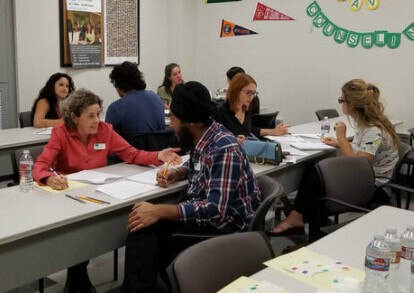 CollegePath LA matches volunteers with students to help them compose their college application essays. It also offers career workshops, led by working professionals in various fields, which help seniors identify higher-education courses and college majors to pursue. In the discussion, participants suggested how the organization could do more. One major need is better preparation for SAT and ACT tests, which are required by many colleges. Students could also benefit from more professional internships, volunteering opportunities and summer programs, the group agreed. Many ideas were offered as potential solutions. CollegePath LA could reduce anxiety about test prep, for instance, by providing free classes that offer individualized attention. It could also promote students’ involvement in extracurricular activities by deploying its professional network to establish more internship and volunteer positions. Information could be compiled into a database accessible to all students. Other thoughts were shared regarding the college-going culture at Marshall. Friends of CollegePath LA reached a consensus that access to information about what students need to do to prepare for college-level work is unequal among Marshall’s academic programs: Marshall Liberal Arts, Highly Gifted Magnet, School for Advanced Studies, and School for Environmental Studies. School-wide assemblies could be a step toward remedying these differences. Other inequalities among the school’s academic programs perpetuate disparities, the group found. Among these is the maximum number of Advanced Placement courses students in each program is allowed to take. Friends of CollegePath LA agreed that structural change at Marshall is needed to eliminate these differences. CollegePath LA plans to survey other concerned groups and individuals to identify possible courses of action. ​ Thursday afternoons in October and November were busy times at John Marshall High School’s college center. 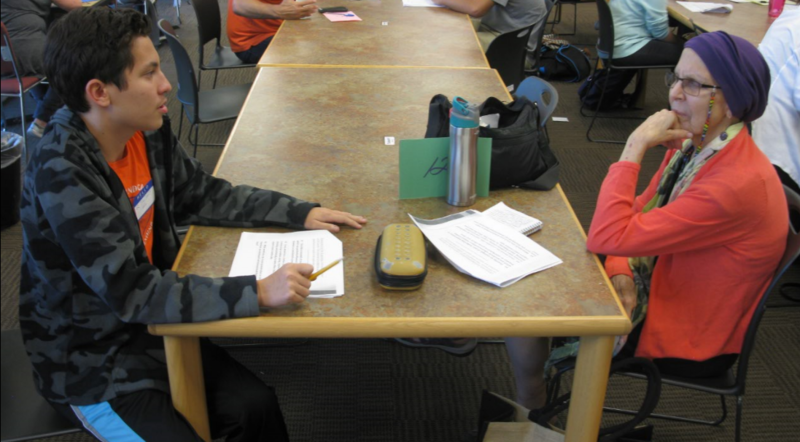 Immediately after the final bell rang, students converged on the center, eager for help with their college essays. CollegePath LA was there! 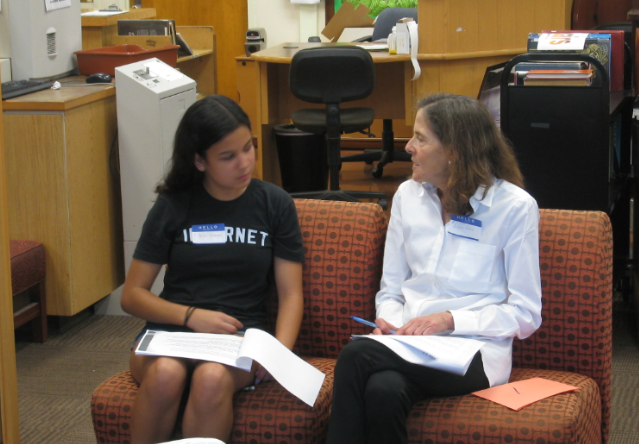 Each student was quickly matched with a volunteer coach. Then, the duo huddled to brainstorm ideas, review drafts and polish essays. During the last week in November, up against the University of California application deadline, sessions were held all day, every day. Over 55 volunteer coaches participated, including stalwarts who came to all 13 weekly sessions. Among the volunteers were writers, editors, actors, engineers, lawyers, teachers and artists. More than 150 students got help and many returned to the center week after week. ​Participation spanned the entire Marshall student population, reflecting strong encouragement from the school’s English teachers. Special thanks to Scott Banks, Marshall’s United Teachers of Los Angeles representative, for increasing awareness of CollegePath LA with Marshall faculty. Initially I did not know what or have a feeling for what to write, but after conversing with my coach, my essay will have a personal touch that completely says something about me. My coach was a very sweet person and I felt she made me feel more confident. She was absolutely wonderful and provided insight I couldn’t come up with myself. It was extremely useful. I was able to not only get a good, solid start for my essays, but I was able to learn more about myself as an “intellectual,” which is how my mentor described me. CollegePath LA expanded its reach by assisting students at Los Angeles Valley College (LAVC) with their University of California admissions essays. The project was conducted in partnership with LAVC’s Career/Transfer Center, which helps its students continue their education at a four-year university or college. 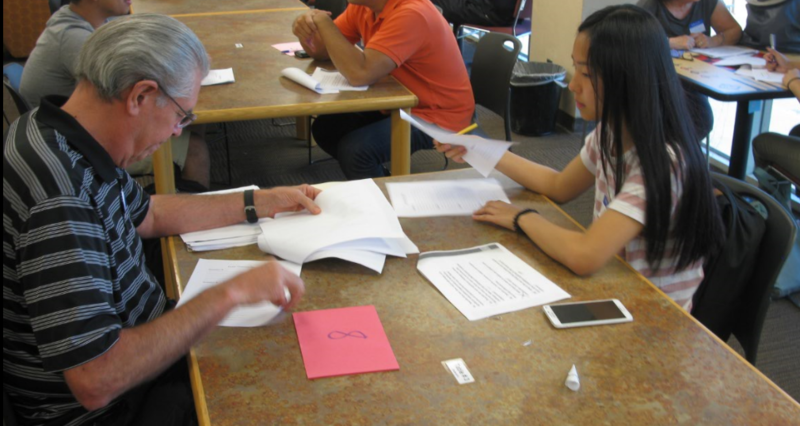 Under the auspices of Career/Transfer Center director Clive Gordon, LAVC staff recruited UC applicants and LAVC faculty to workshops that paired volunteer instructors one-on-one with students to assist them in creating essays responding to UC’s “personal insight” questions. Jeffrey and Deborah Kaye, representing CollegePath LA, conducted training sessions using materials developed originally for Marshall students. 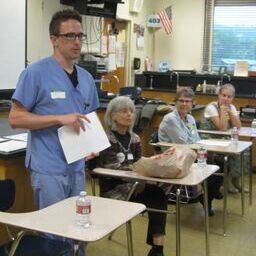 Deborah, LAVC’s recently-retired director of professional development, assisted the faculty volunteers. The instructors had the option of claiming their volunteer work as part of their professional development obligation. Four workshop sessions were held on the LAVC campus in October and November at times selected to serve both daytime and nighttime students. In all, approximately 25 students took advantage of the workshops. “We consider this project a success and hope it will serve as the rollout of a continuing collaboration between CollegePath LA and community colleges,” said Jeffrey Kaye. LAVC is one of the nine campuses of the Los Angeles Community College District. The District, along with other community colleges, is increasing efforts to help students transfer to four-year universities. CollegePath LA provided guidance, written materials and encouragement to “I Have a Dream Foundation Los Angeles,” which offered essay writing workshops this fall to college seniors in Inglewood, Calif.
“We had a total of 21 volunteers and staff that assisted 19 students with their personal statements,” said Pamela Miller, a board member of the Los Angeles foundation, an affiliate of a national organization founded in 1981 to provide social, emotional, academic and financial support to young people in low-income communities. I got that you should put your heart into it and shouldn’t be afraid to talk about your feelings. What I got out of the workshop is to put a little bit more of me in my essay and not to be too modest. I wouldn’t get this experience anywhere else so I am extremely grateful. ​On Saturday, June 24, 2017, over 100 students, community volunteers and friends attended CollegePath LA’s second fundraiser. 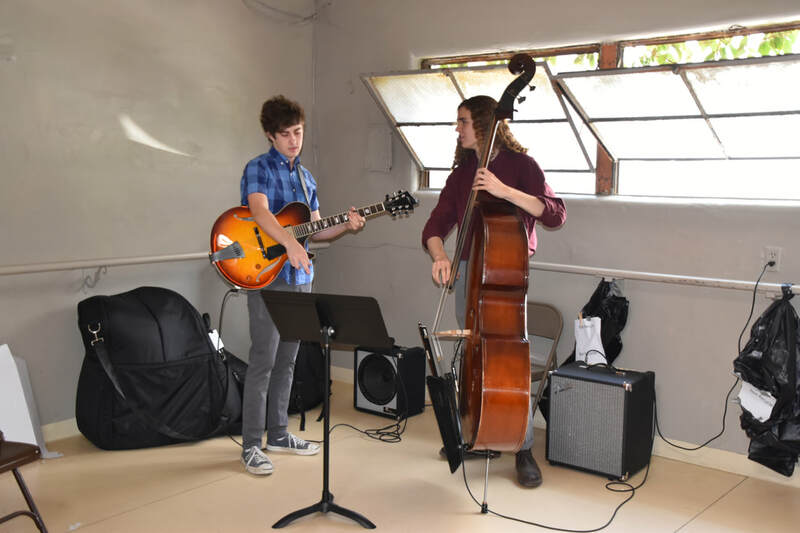 The event, held at the Hyperion Arts complex near John Marshall High School, raised over $12,000. 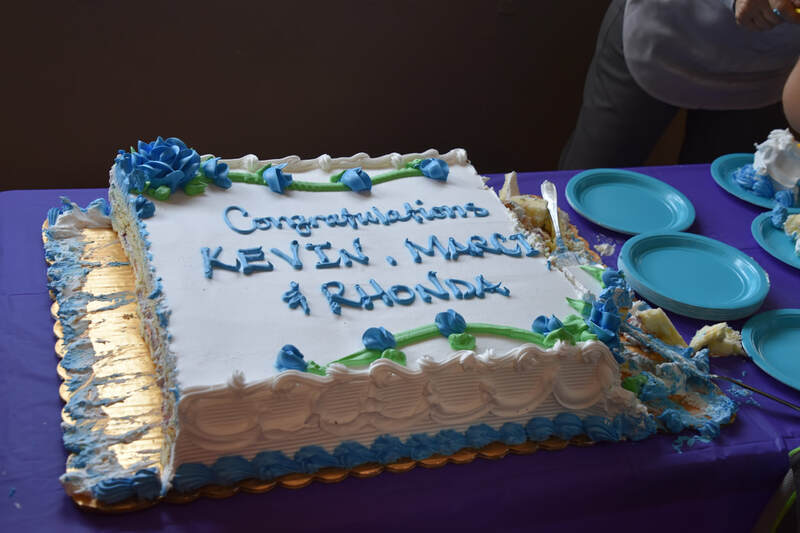 It honored the contributions of three longtime volunteers: Rhonda Rundle, a former journalist, and retired Marshall teachers Kevin Moran and Marcia Slaten. ​ In accepting their awards, our honorees acknowledged the importance of the work of CollegePath LA in encouraging students to pursue their college dreams. Ms. Slaten and Mr. Moran spoke about the pride they feel as they watch their former students flourishing in college. What do high school students and parents need to know about college applications, admissions requirements and financial aid? These questions were front and center on Saturday, April 22, 2017, at Destination College, a community conference held at John Marshall High School. 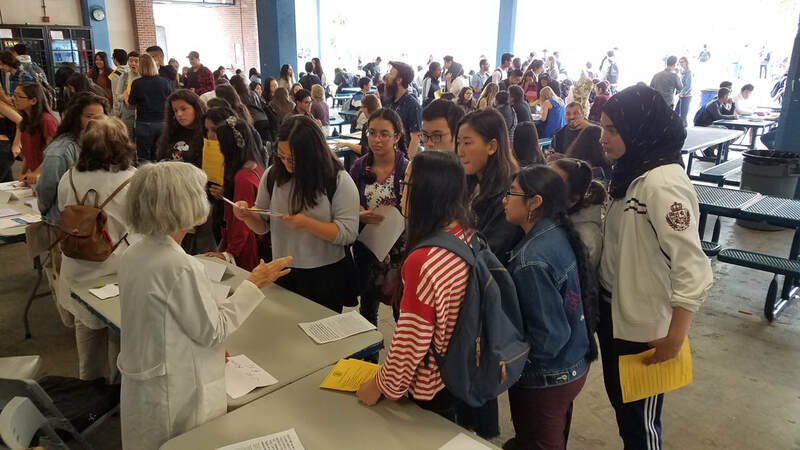 This was the second year that CollegePath LA joined forces with Marshall’s parent center, its college counselor and other administrators to organize the event. Over 130 adults and children listened as a series of speakers spoke about the path to higher education. During the second part of the morning, current and graduating college students offered advice about how to prepare for college and succeed after you get there. Parents of recent graduates spoke with other parents about how to support their children while applying for college and once they begin. Six CollegePath LA students participated, including recent college graduates Gregory Contreras, Syracuse University; and Mary Sosing, University of California at Irvine. They were joined by Brenda Martinez, California State University, Los Angeles; and Karen Oliva, Occidental College, who are graduating in June 2017. Current college students were Moves Shaginyan, California State University, Channel Islands; and Michelle Shin, UCLA. Get to know your professors. Do not be shy about visiting professors during their office hours. Take advantage of the resources on campus, especially those related to writing and study skills. Stay on top of your workload. Do not get behind, especially if the school is on the quarter system. Develop good study habits while in middle and high school. ​ Networking. Interviewing. Resume writing. 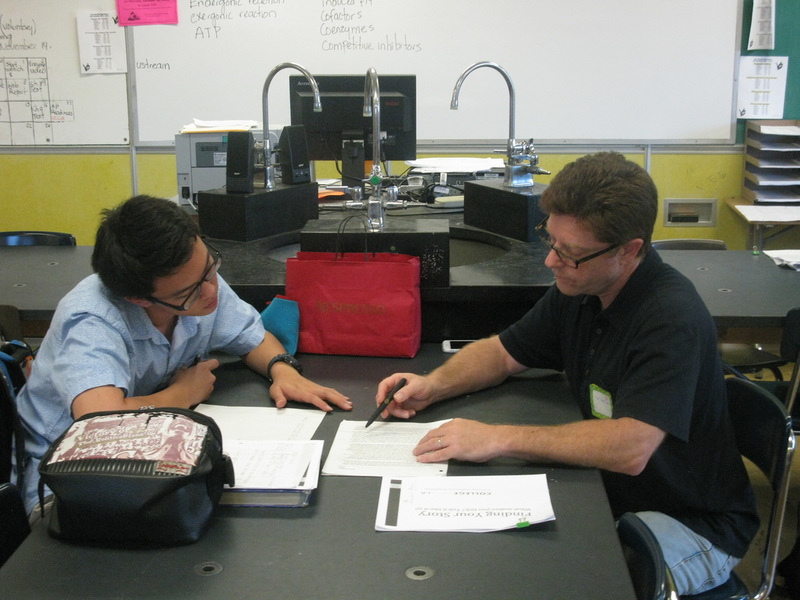 These job skills were discussed at a series of workshops organized by CollegePath LA at John Marshall High School. The three sessions, held in March, were led by community volunteers with professional expertise. About 60 students participated. Janis Pizer, a career counselor at Cerritos College, helmed the workshop on how to prepare a resume; Leslie Edmonds, a retired human relations consultant, along with Kevin Moran, an actor and retired Marshall teacher, led the session on interviewing techniques; and Renee Hense, an advertising copywriter with a background in acting, led the session on networking strategies. Jody Brooks, a professional college counselor, together with Susan Philips, CollegePath LA director, worked with the presenters to develop agendas and written materials. The workshops were a hit with students, based on feedback from a written survey conducted afterwards. Ninety percent of students reported knowing “some” or “little” about the topics beforehand. After the interviewing and resume-writing sessions, 90% of students reported that they learned “a lot” about how to do both. After the networking event, 100% of students reported that they now know “a lot” about why networking is important and how to do it. On December 28, 2016, CollegePath LA held its semiannual gathering of students and volunteers. 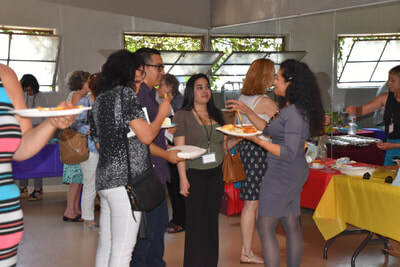 It has become a tradition for students and volunteers to mingle and talk about students’ growth in college and CollegePath LA’s achievements in the community. I attended the first holiday party five years ago as a senior at John Marshall High School. This year I attended after recently completing a Bachelor of Arts degree from Syracuse University, double majoring in economics and in television, radio & film. These gatherings are a highlight of CollegePath LA. Students have an opportunity to hear about each other’s progress, and to seek help from volunteers who are always ready and willing to offer advice. The food is delicious. The genuine camaraderie among students and volunteers creates a welcoming and fun environment that makes the party a must-attend event. Everyone knows the drill. We form a circle, sitting and standing, in Susan’s living room. Students share high and low moments of their previous semester. Students who graduated in June 2016 spoke about finding jobs and settling into them. I finished my undergraduate degree two weeks prior to the gathering so I talked about beginning a job hunt and my hopes of eventually going to graduate school. Towards the end of the gathering, an impromptu discussion arose on how to improve CollegePath LA for current and future cohorts of students. The conversation touched on various ideas, including preparing students for college coursework, creating awareness of higher education options early on in high school, and teaching time management skills needed to meet the demands of college life. The future continues to look bright for the students in CollegePath LA and for the organization. CollegePath LA will hold its 2nd fundraiser on Saturday June 24, 2017. Last year, CollegePath LA’s first group of students finished college and more are graduating this spring. These successful students inspire CollegePath LA volunteers to continue their great work helping high school students find their path to college. 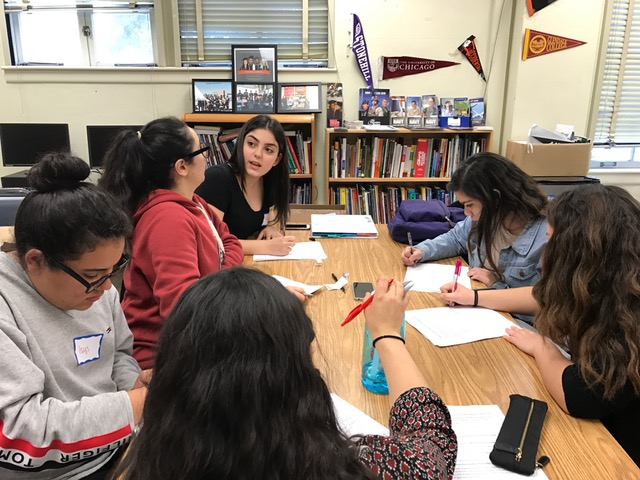 This September, CollegePath LA organized a series of workshops at John Marshall High School in which 50 volunteers helped 120 seniors write their college essays. Each session began with a group training led by Rhonda Rundle, a retired writer and editor for the Wall Street Journal. Following her presentation, the students split into two groups. Half paired up with a volunteer for one hour, while the others met with two young people who are alumni of both Marshall and CollegePath LA. Then the groups switched. Eric Palyan, a recent graduate from UC Santa Barbara, and Raquel Matamoros, a student at UC Riverside, shared their college experiences. Every senior had a personal coach and an opportunity to ask questions about college life. At the request of Marshall’s college counselor, Tricia Bryan, CollegePath LA is planning five follow-up sessions beginning in late October and continuing though November. 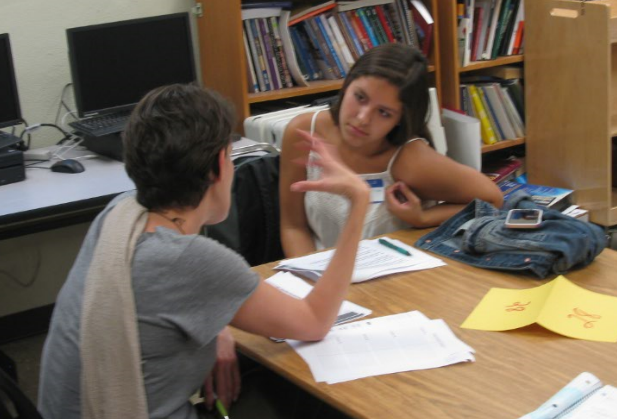 At these sessions, students can work with volunteers to refine their drafts. Dates and times are listed on the homepage under Volunteer Opportunities. I got a really good idea of what questions to answer and what to write about. I also now know how to structure my writing and make it so that my work is interesting and demands to be read. It was good to hear feedback on how to condense my ideas and make better connections to answering the prompts. I feel more confident in writing statements because of the advice that I received today. This workshop really let me express myself and realize how many aspects of my life are unique. I feel confident that I can now do this myself; before I was lost. I had no idea what to write. Now I’m confident in what to write and now I cannot wait to get started. One of the four young people I worked with was a young woman who was anxious to go to college. She told me that she would be the first person in her family to go to college. She was from a working class immigrant family and they were so proud that with the help she would get at the workshop, she would have a good chance to follow her dream. The two students I had were bright, knew what they wanted to do in life (so far), but they didn't know how to start. Once they started talking and putting it into words, and revealing hardships in their backgrounds and how they overcame them, they couldn't wait to get started. I was so impressed. I know both will do well and I have no doubt they will succeed in college and in their careers. I hope they get good internships, as they will impress anyone they work for. If I were still working I would hire them myself. For me the most enjoyable part of the process is helping a student discover that their life and their experiences are interesting! During the course of a short conversation, there's usually a moment when I say, "that's it!" and the student looks at me with an expression of surprise. As we weave the threads of their unique story, the student gains confidence and understands there's no single formula for drafting a college essay. I hope that students leave our brief meeting with a deeper appreciation of their strong and authentic voice. I do think as a volunteer that I got at least as much pleasure as the students got ideas in return for “brainstorming” with them. It is one of the pleasures of volunteering to be enlightened oneself by the students! The young man, who on his own, learned English by reading 20 children’s books because he could not understand his Chemistry textbook. I loved his eureka moment when he knew that he could understand English as he suddenly knew that the stories were for young children. 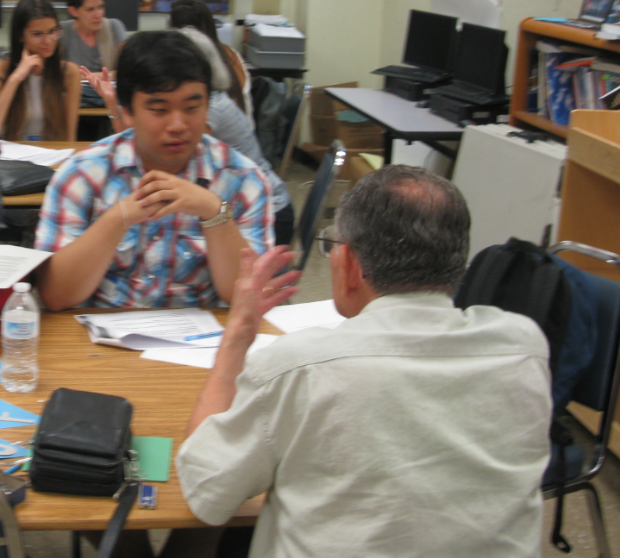 ​ On Tuesday, August 2, 2016, CollegePath LA held its first advisory committee meeting. The purpose was to educate members about all facets of our program, to identify new volunteers, and to fulfill a requirement of our nonprofit sponsor, Community Partners. ​who attended John Marshall High School, its college counselor, a retired teacher and a representative from the teachers’ union. We reviewed the various aspects of our program, including the college essay preparation and career workshops. Following these reports, we discussed two new initiatives: Helping college student with their career options, and working with younger students on how to prepare for college. We will explore ideas to advance these initiatives at our next meeting. ​ ​Many young people have career dreams, but few have met anyone who has a job in that field. To bridge the gap, CollegePath LA organizes workshops where students can interact with professionals drawn from a wide range of careers. In 2016, the program set an attendance record, attracting more than 400 Marshall High School students to four workshops in March and April. Before the first session, focused on Engineering, Math & Technology, students began lining up before the end of the regular school day. By 3:15 pm, the auditorium was filled with more than 150 students--freshmen, sophomores, juniors and seniors, representing all of the school’s various academic programs. Panelists also tell us their participation is gratifying. They say they appreciate that few young people know someone who can open their eyes to what they are capable of achieving. “Today I am a TV camera person, and although I grew up three blocks from Paramount Studios it never occurred to me as a teenager that I could have a career in the entertainment industry,” said Jacob Pinger. “I had an amazing time sharing my education and career path. I hope the students were able to relate, were inspired and will be motivated to make their career dreams come true!” said Hayana Kwon, a Comerica Bank public affairs manager. “I wish this program had been available to me in school to expose me to different career choices,” said Susan Romo, a retired nurse who is still active in the field as a volunteer. Art Avila, spacecraft mechanical engineer; Joe Buford, management engineer (Marshall alumnus); David Challoner, system engineer; Patrick Klug, marine biologist; Vanessa Reyes, design engineer; Robert Weinstein, medical device engineer (Marshall alumnus). Penny Bard, MD; Alvino Louie, pharmacist (Marshall alumnus); Alice Minton, coordinator, nursing assistant program; Kimberly Morse, medical social worker; Kirk Nielsen, pharmacist; Linda Goodman Pillsbury, medical social worker; Susan Romo, nurse; Joan Sekler, physician assistant; Samantha Shi, pharmacist; La Toya Washington, physical therapist; Sanford Weimer, MD. Peter Avanzino, animator; Kelly Hannon, writer; Jennika Ingram, Vancouver Film School; Jean Lenihan, dance critic; Yana Nirana, set designer; Jacob Pinger, cameraman; Julie Sczesny, animator; Jennie Lew Tugend, film producer; Jan Wesley, editor and sound effects. Diane Evans, realtor; Hayana Kwon, public affairs manager; Pamela Miller, entertainment lawyer; Patrick D. Patterson, school of business; Arian Rezazadeh, private banker; Dalia Santillana, office manager; Jennifer Vercelli, CPA; Ashley Wade, entrepreneur. A Symposium for Students and Families took place on Saturday, April 16, 2016, at John Marshall High School. The goal was to educate attendees about college admissions procedures, requirements and financial aid to help them make informed decisions about where to apply. Marshall staff and CollegePath LA collaborated on the event. The day began with a keynote address from Los Angeles Superior Court Commissioner Emma Castro, one of the original volunteers for CollegePath LA, who shared inspirational words about perseverance and determination. Tricia Bryan, Marshall’s college counselor, described the different types of college systems. Oscar Jones, Assistant Director of Financial Aid at Woodbury University, followed Ms. Bryan and answered every question about financial aid. ​Nearly 200 students and family members attended the Destination College event, confirming the organizers’ conviction that families want information to help them make decisions about their children’s education. The organizers would like to express a special “thank you” to all the guest speakers who graciously gave their time to provide encouragement, share their wisdom, and offer solutions to our communities and families; to Marshall High leadership students who organized a student-led college fair for the event; and to Palermo Ristorante Italiano, which generously provided food. ​By Jose L. Morales, Ed.D. CollegePath LA honored three standout contributors at its first-ever fundraiser, held October 18, 2015 at the Hyperion Arts Center in Silver Lake. 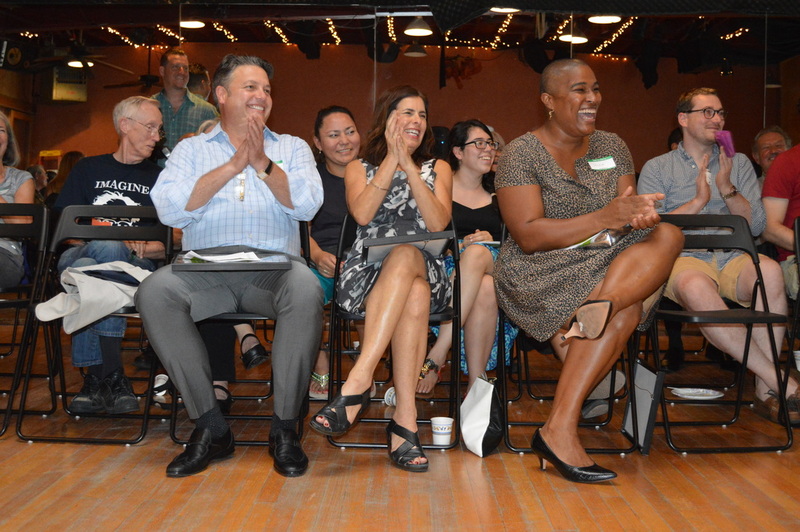 The event, marking CollegePath LA’s five-year anniversary, drew over 100 attendees and raised about $8,700. The funds will help high school seniors and college students pay for unexpected expenses, including fees, textbooks and cold-weather clothing. When the doors opened, guests and students were greeted with warm welcomes and light refreshments. They purchased raffle tickets and perused a display of prizes, including an Apple Watch donated by Marc Giroux, one of the honorees. ​CollegePath LA alumni Daniel Gonzalez and Yesenia Acosta emceed the awards presentation. After their introductory remarks, Marshall teacher Kevin Moran and a colleague, Maria Del Bano, sang “Everybody Says Don’t,” a rousing Stephen Sondheim tune. Susan Philips took the stage and talked about the simple idea that inspired her and a friend, Lori Zimmerman, to organize community members into what would become CollegePath LA. “Imagine what could happen if we mobilized the passions, skills, talents and resources of the people in our community to help students open doors to their futures,” she said. Six years later, the organization has helped 1,000 students and 500 families, and recruited over 250 volunteers. Most of the program focused on the three honorees. Tricia Bryan, John Marshall High School’s college counselor, was recognized for her dedication to students. Marshall alumnus George Perez recounted how Ms. Bryan nominated him for a scholarship that he never dreamed he could get. With her help, he said, he won the scholarship and is now thriving at Cal Poly Pomona. ​ Marc Giroux, vice president and manager of Sotheby’s International Realty’s Los Feliz brokerage, and a founder of the Sotheby’s for Schools Fund, was honored for his leadership in support of CollegePath LA. ​Funds donated by Sotheby employees have helped many students pay for books, placement exams, college applications and even clothing. In accepting the award, Mr. Giroux talked movingly about receiving thank you notes from students, and the gratification felt by he and his co-workers. They learned that a small gift could pay for a book, a coat, or other unforeseen expense at a critical time in a student’s life. 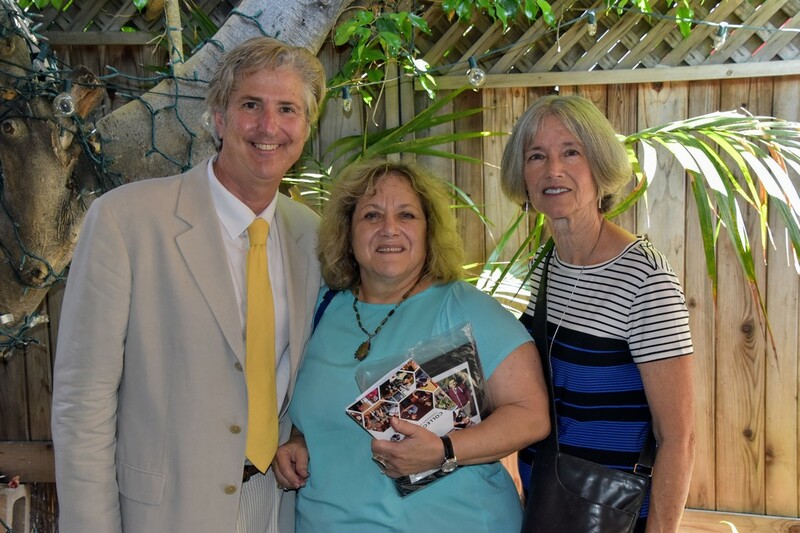 Diane Evans, a CollegePath LA volunteer since its inception, was honored for her extraordinary outreach to students. One mentee, Brenda Martinez, shared via written remarks how Diane had counseled her through adversity, like a second mother. Brenda had to work the​day of the fundraiser, so her tribute was read aloud by a friend, Angela Limon. ​Volunteer Ruth Tavlin oversaw the raffle drawing, assisted by Ms. Bryan’s son, Addison. The program ended on a high note, a Joni Mitchell song, “The Circle Game,” performed by the Moran-Del Bano duo. Special thanks to pianist Ross Kalling and Douglas Mejia, sound director. Along the way, attendees learned about CollegePath LA, its programs and its impact at Marshall High School. More importantly, they heard genuine expressions of appreciation from many students who have been helped by the organization. October brings pumpkins, fall colors and college application season. It’s the time of the year when high school students need the most help with their personal statement essays. This year, CollegePath LA organized 50 volunteers who tutored a total of 155 high school seniors at John Marshall High School. The program also expanded for the first time to Hollywood High School through collaboration with another nonprofit, L.A.C.E.R. Afterschool Programs. There, 32 volunteers helped some 50 students. The workshops help students find a topic, theme or main idea for their essays--a personal story that reveals something meaningful about their lives, identity or values. After a brief presentation, students meet one-on-one with a volunteer whose role is to listen and learn, and then to offer feedback and suggestions. CollegePath LA provided a handout, “Finding Your Story,” with guidelines for getting started, good writing and essay structure. Many of our coach volunteers are journalists, screenwriters and novelists with a knack for good storytelling. “I remember writing my own college essay. It was a horrible, stressful experience, and I went on to become a professional writer. I can't even imagine how hard it would be for a kid who wanted to do something else. My skill set can actually help out, and that's an unusual, and extremely fulfilling feeling to have,” said volunteer Justin Robinson, a Los Angeles author. Rhonda Rundle, a former Wall Street Journal reporter and editor, led the Marshall High School training. Jeffrey Kaye, a writer and former correspondent with the PBS NewsHour, led the training at Hollywood High. This year, students were able to share drafts of their essays with their coaches, using a student’s Los Angeles Unified School District (LAUSD) email address and Google Docs. This online tool also facilitates review of student drafts by a school’s college counselor. On Saturday, January 31, CollegePath LA partnered with John Marshall High School for the 13th annual Cash for College Super Saturday. CollegePath LA volunteers assisted over 80 families in completing and submitting online the Free Application for Federal Student Aid (FAFSA). Accessing financial aid is one of the most daunting aspects of the college application process and our volunteers were able to assist families in this crucial step. Filing the FAFSA is the starting point for students seeking scholarships, grants and loans from a wide variety of public and private sources. Families began the morning with a financial aid presentation by Marshall's college counselor, Tricia Bryan. She discussed the types of financial aid available and how colleges and universities determine aid packages. Her talk was followed by a Q & A session. Then families had the opportunity to receive one-on-one assistance from our volunteers in the Marshall High School computer lab. CollegePath LA held its holiday party on December 21 at the home of co-founder Susan Philips. In attendance were about 25 students who have benefited from the program’s success, along with friends, coaches and teachers who have guided us on our journey to college. 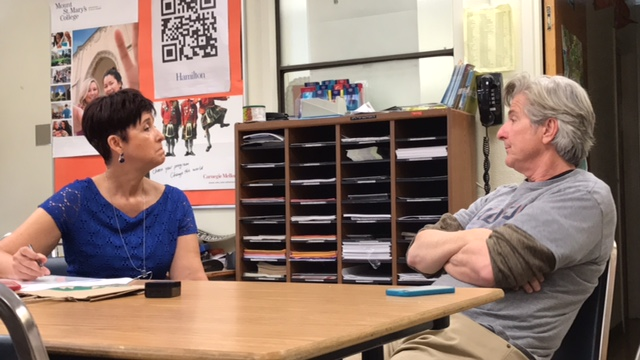 What makes these reunions particularly enjoyable is the opportunity to reconnect with other Marshall High School students and to speak with mentors who are always eager to give advice. An important thing I have learned since starting college and continuing to attend these gatherings is the knowledge to be gained from people who have successfully made the transition from college into the working world. At the reunion, all of the students took turns sharing their personal experiences. Some talked about balancing their college studies and work. At the gathering, one student confided details of his struggle to balance school and home demands during a difficult time in his life. His story resonated with me because his situation illustrated the fact that college is only one facet of our lives. 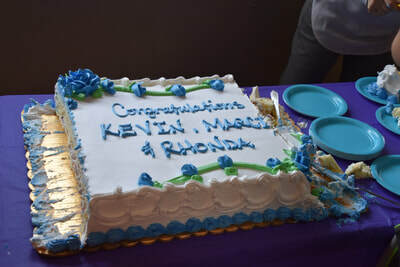 Other students discussed their transition into young adulthood, new accomplishments, and the marriage of one of our former teachers who was at the meeting. Instead of bringing food to the party we decided to bring jackets and blankets for homeless people. On Saturday January 3, a group of CollegePath LA representatives delivered these goods to Los Angeles Catholic Worker, a lay Catholic community that is funded by private donations. Capping off the day, we went as a group to watch Selma, a riveting film that depicts the struggles that African Americans experienced to achieve voting rights in Selma, Alabama in 1965.